Check out what is going on in Northern Colorado in July! 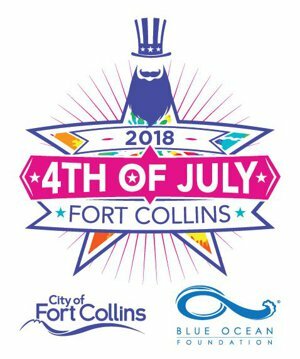 “The Fort Collins 2018 4th of July celebration begins with a traditional Independence Day parade at 10:00 a.m. The parade will travel west on Mountain Avenue, beginning at Meldrum Street and ending at Jackson Avenue. Please note that there will be street closures in the area of the parade and parking may be limited in some areas. In the evening, the celebration continues at City Park with live music and fireworks. 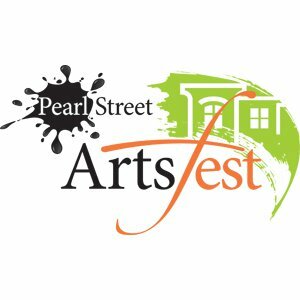 Local bands will perform from 4:15 p.m. until 7 p.m. The Colorado Swing Band will perform from 4:15-5:15 p.m. followed by Guerrilla Fanfare Brass Band from 5:45-7 p.m. The Fort Collins Symphony, led by Maestro Wes Kenney, will play from 8:15 p.m. until the fireworks are scheduled to begin around 9:35 p.m. Independence Day concludes with the traditional fireworks display over Sheldon Lake in City Park. The fireworks display is scheduled to begin at 9:35 p.m., depending on wind and weather conditions.” More Info! “Join us as we Celebrate the 4th of July at Waneka Lake! Enjoy an old fashion July 4th with Food from Abo’s Pizza, Suburban Wiener, Uturn BBQ and Butcher and the Blonde. Beer-Uturn, Cider-Stem Ciders & Wine Garden (fees apply). Kids’ Activities including Free Face Painting, Fees Apply for Bungee Trampoline, Bounce House and more. From 4:00pm-8:00pm Free concert featuring Chris Daniels and the Kings Free Fireworks show at dusk. No shuttle service provided. Parking will be on the surrounding City Streets. Please be considerate and don’t block driveways. Only service animals allowed in the beer garden area.” More Info! 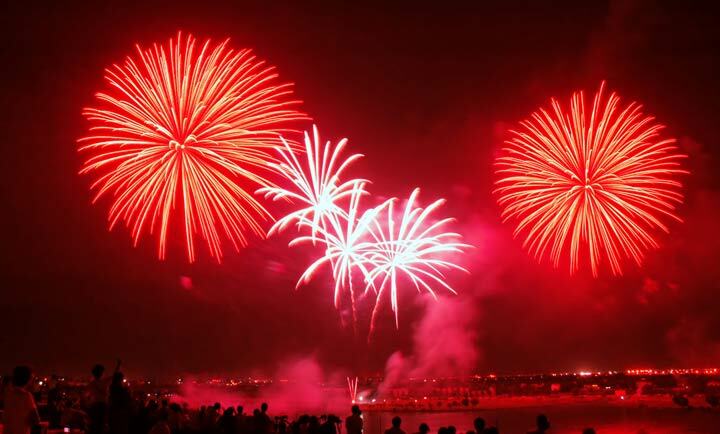 “For the best view of the fireworks, park at a nearby shopping center and either walk to the fenced area in front of the Jack Murphy arena or watch from anywhere within a one mile radius of the fairgrounds. Handicapped accessible parking will be available at the fairground’s Nelson Road (south side of facility) entrance. Handicapped parking permits will be required.” More Info! “Voted one of the top 22 fireworks shows in the nation by USA Today! Located at the corner of Taft Avenue & 29th Street in northwest Loveland, North Lake Park also offers one of the area’s finest outdoor entertainment venues at the Norma & Lynn Hammond Amphitheater. Constructed and dedicated in 1996 by the Loveland Rotary Club, the City of Loveland, and many local philanthropists, this “state of the art” facility offers exceptional acoustics surrounded by grass seating. For the July 4th festivities, there will be close to 20,000 spectators gathered in this area!” More Info! 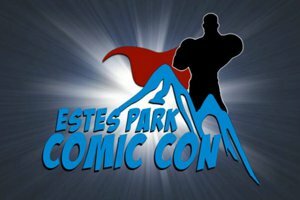 “Coming July 2018, the comic world ascends to the little mountain town of Estes Park. The doorway to the Rocky Mountain National Park will be overcome with artists, celebrities, and the kings and queens of the comic world. Come join us as we celebrate everything nerd! From geekchic to the old school as we all come together to experience and relive worlds we all love and cherish together. Convention Trade Show, Celebrity meet and greets, Fun Family Games and a Mini Carnival.” Tickets & More Info! “A celebration of visual arts unlike any other. More than 100 artists from around the country gather to display and sell fine art ranging from jewelry and painting to sculpture and upcycled art. The event includes children's activities, interactive performances and more!” More Info! “The Fringe Festival is a live, performance-art festival. 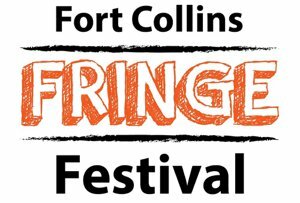 With everything from theatre to magic to dance to film to puppetry to music to circus and fire-breathing, there is something for everyone at the Fort Collins Fringe Festival.” Schedule & More Info! “Late every July the small mountain town of Lyons, Colorado becomes the center of the bluegrass universe as generations of legends and future-legends and Festivarians converge under the red rock cliffs of the St. Vrain River. 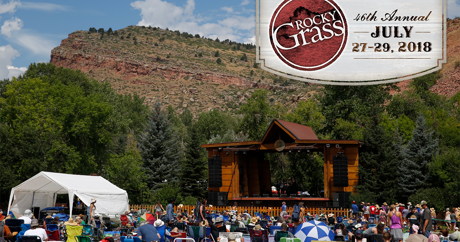 Originally founded by Bill Monroe and members of the Colorado Bluegrass Music Society, today's RockyGrass is known internationally as one of the great traditional bluegrass festivals. 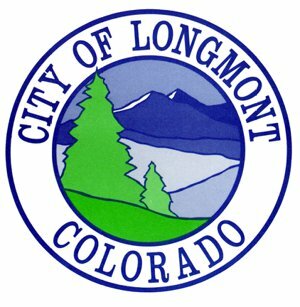 After 2014's rebirth celebration — held just 10 months after historic 500-year floods devastated the town of Lyons — RockyGrass has become a symbol of Lyons' strength and resiliency.” More Info!